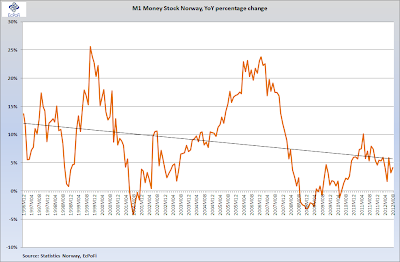 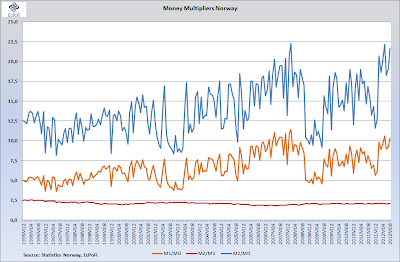 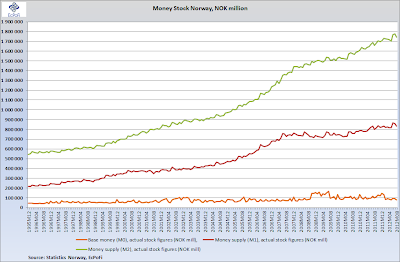 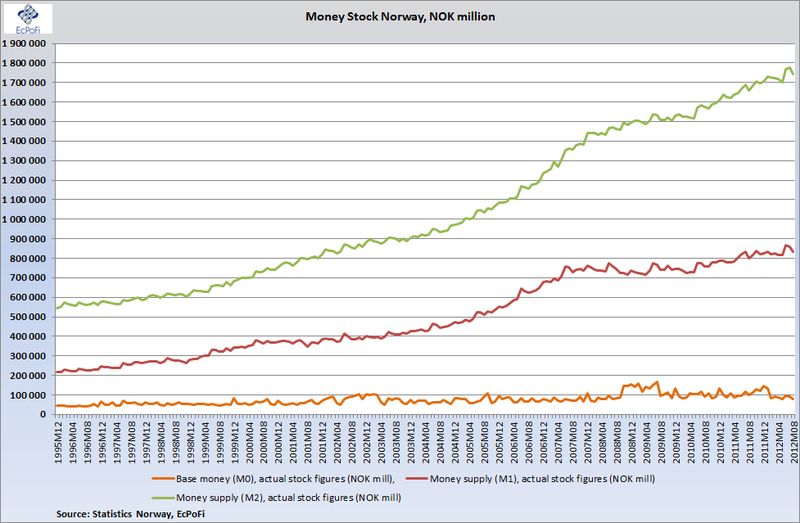 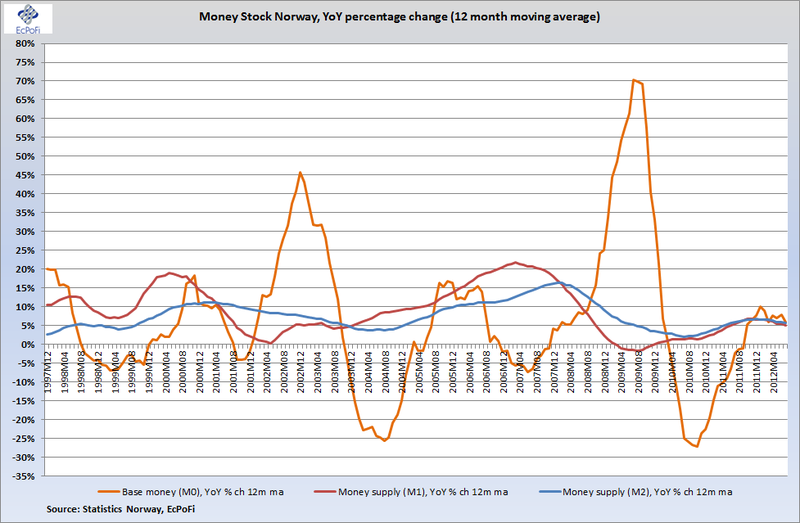 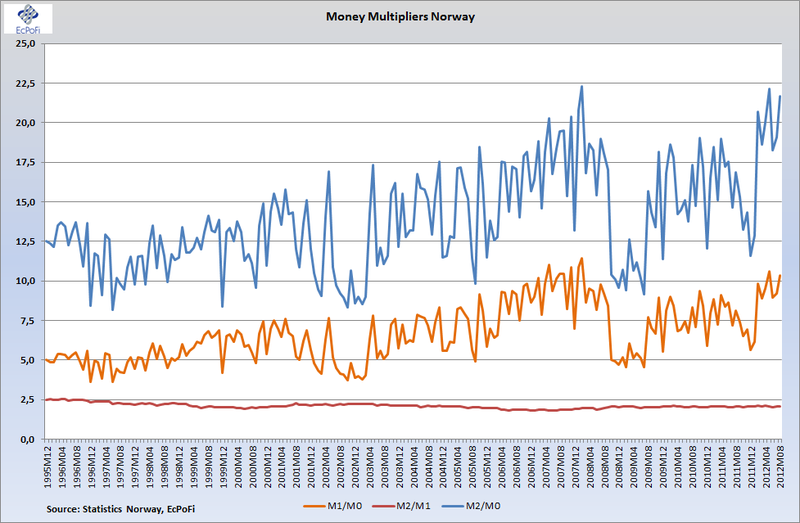 Statistics Norway today reported Norway's monetary base and money supply figures for the month of August. 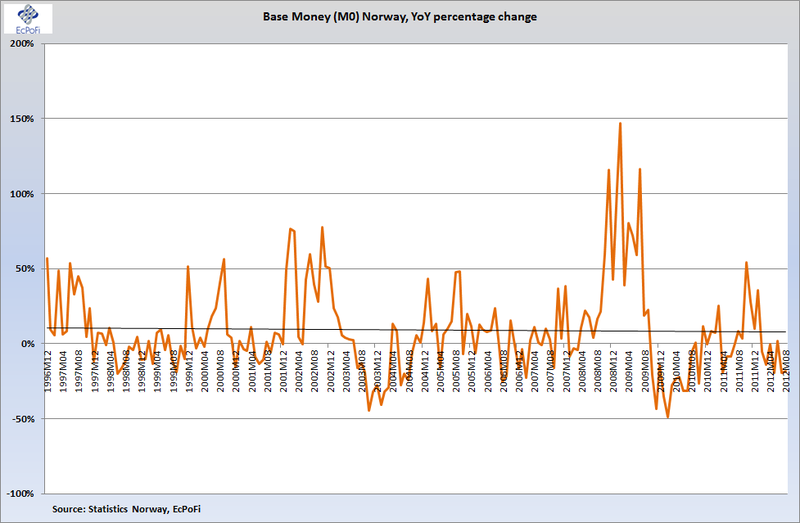 Base money dropped 13.4% on July and was down 18.2% on the same period last year. 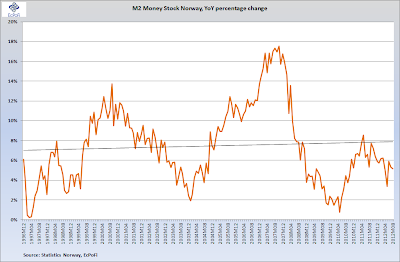 "The low twelve-month growths are caused by the banks’ decrease in F-deposits in Norges Bank compared to the same periods last year", Statistics Norway reported. 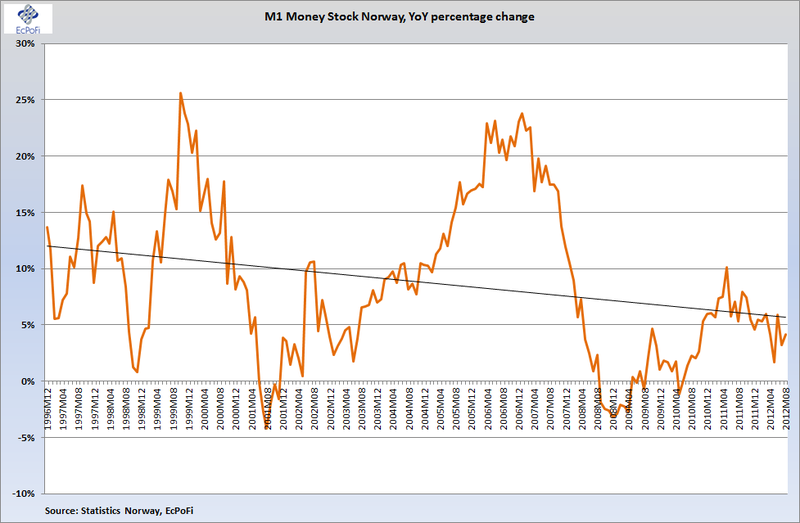 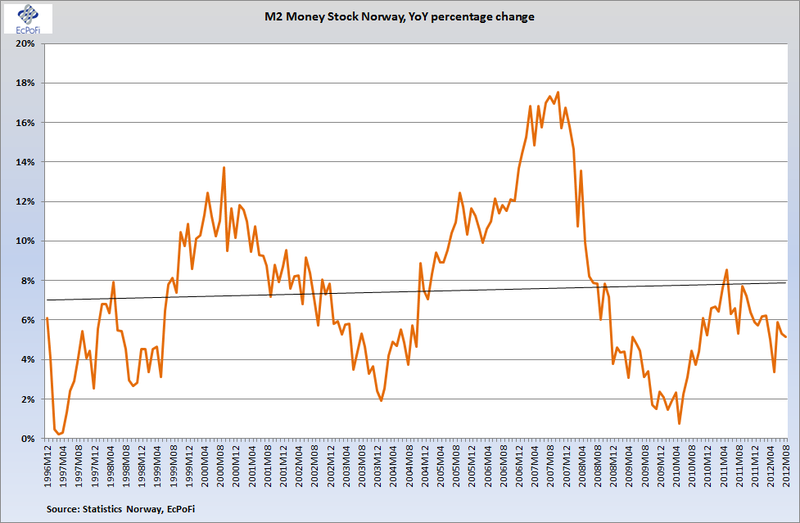 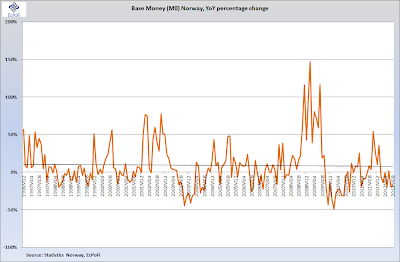 The M1 money supply decreased 3.0% from July, but was up 4.2% on last year. 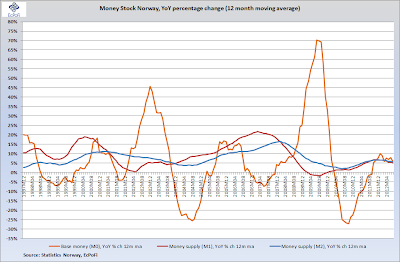 M2 money supply for the month was 1.8% lower than in July, but was up 5.1% on the same period last year and represented the 22nd month in a row with YoY growth above 5%.